At the BABA Ramdev’s rally in Ramlila Ground in Delhi, Former It commissioner Of India Vishwabandhu Gupta, revealed the names of some Indian Politicians among the black money holders. Not only this, he revealed some interesting facts as a commissioner about Indian Political system, including the whereabouts of Quattrochi and how his son is running a oil well in Andaman and Nicobar Islands.. At the end of his address he said, “I am happy to reveal this hidden truth in front of the public, I hope now I will die with peace”. He was seen almost crying at the state of Indian political system. Watch the video at the end of the article. There is another video where he is revealing the truth about Manmohan Singh. It is true that till date nobody knows who all among our politicians have Swiss bank account and how much money they have stashed in there. But some unverified reports claim some name of the politicians. In an update to this article, we have removed any name of the individual from this article due to the weak and unverified sources that gave the information. We avoid writing anything that is not supported by solid sources and proofs, though it will not be a matter of surprise if we find some of the most common names of our politicians in the actual list. As told by Viswabandhu Gupta , Former Income Tax commissioner Of India that these Leaders having 25 billion Dollars in their account, these information was given by Swiss Bank to the Finance Minister Of India P.Chidambaram. 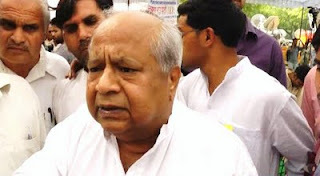 Your Opinion on: Is Anna another Gandhi? Should such labels matter for a national campaign?